Here’s How Halo Will Look in Crysis 2. Wait, What? 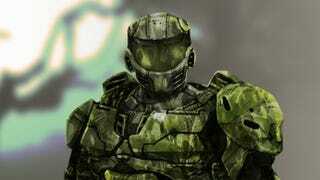 You might not be sitting around thinking that Crysis 2 needs more Master Chief. Fair enough. But some intrepid modders are using the PC release of Crytek's alien invasion war game to stage their own version of Spartan-vs-Covenant action. They're calling it Venerance. Tributary Creations is a loose confederation of developers who are using the CryEngine 3 SDK to make a playable mod based off of four-chapter segment from the Halo: Fall of Reach novel. They don't appear to be showing anything other concept art right now, but the idea of controlling the Halo franchise's characters inside another series' toolset is intriguing. You can monitor the mod team's website for more details.